San Francisco (AFP) - Proven masters at sustainably managing forests that protect against global warming, indigenous peoples got a place at the table, and some cash, at an international climate summit in San Francisco this week. New "guiding principles" for collaboration endorsed by three dozen mostly tropical provinces and states across nine countries bolster indigenous rights to land, self-governance and finance earmarked for safeguarding forests. "The partnership between governments and indigenous leaders marks a paradigm shift for tribal and indigenous engagement," Mary Nichols, chair of the California Air Resources Board, said at the Global Climate Action Summit. Up to now, native communities in the forests of Latin America, Africa and Asia have seen their ancestral lands degraded and destroyed -- sometimes with the blessing of local or national governments -- by extraction industries (oil, gold) and big agriculture (soy, palm oil, cattle). Even UN-led efforts to involve indigenous peoples in preventing deforestation have unfolded "in a context of rights abuses, displacement and dispossession, threats and harassment over territories, and the repression and assassination of environmental activists by state and private forces," the non-profit Center for International Forestry Research (CIFOR) reported last year. At least 207 environmental campaigners, half from indigenous tribes in tropical forests, were murdered in 2017, according to watchdog group Global Witness. Deforestation -- responsible for about a fifth of greenhouse gas emissions -- intensifies global warming in two ways. Losing a wooded area the size of Greece each year not only reduces Earth's capacity to absorb carbon dioxide, it releases huge amounts of the planet-warming gas into the atmosphere. The principles were negotiated within the decade-old Governors' Climate and Forests Task Force, made up of state and provincial leaders from eight tropical countries and the governors of California, Illinois and Catalonia. "Today we recognize the essential role of local communities and indigenous peoples for the conservation of forest territories and the development of effective climate change strategies," said Jorge Aristoteles Sandoval Diaz, governor of Jalisco, Mexico. Tribal leaders, who helped forge the new charter, said it would make a difference. 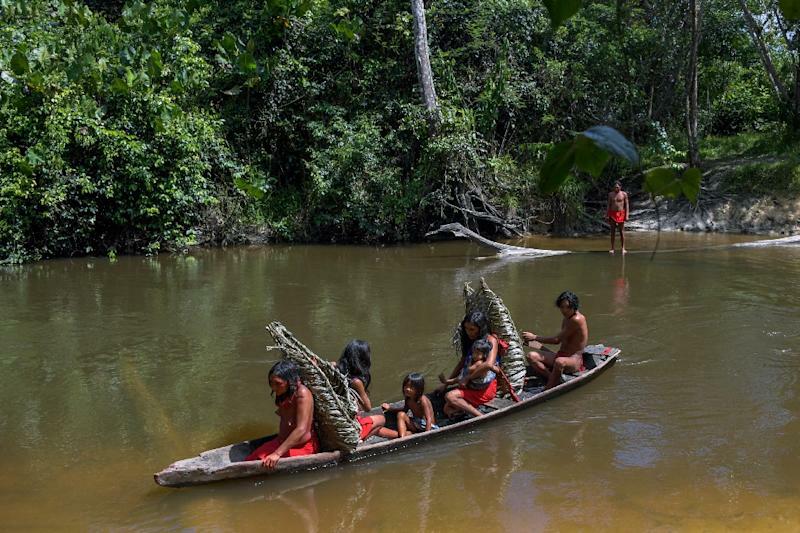 "We live in, depend upon, and manage our forests -- and have done so for centuries," said Francisca Arara, leader of the Arara indigenous people in Acre, Brazil. "These principals provide us with a stronger platform for negotiating equal ground with governments." Experts described the charter as "an important step forward," but said more was needed. "Recognizing the rights is really key to keeping the carbon in the trees and the soil," said Andy White, Coordinator of the Washington-based Rights and Resources Initiative, a research group. "But the real question is how much money they put behind implementing these commitments." Tropical forests provide livelihoods and anchor the cultural identities of tens of millions of indigenous people. Research has shown that stewardship by local communities significantly slows the pace of deforestation. "Thirty-seven percent of what is needed to stay below two degrees Celsius" -- the cornerstone goal of the 196-nation Paris Agreement -- "can be provided by land," said Andrew Steer, WRI President and CEO of the World Resources Institute in Washington DC. "But only three percent of the public funding for mitigation goes to land and forest issues. That needs to change." In a parallel announcement, nine foundations pledged nearly half-a-billion dollars over the next five years to boost indigenous management of carbon-rich forests. "Solving climate change requires that forests, and land in general, be managed well," Darren Walker, President of the Ford Foundation, told AFP. 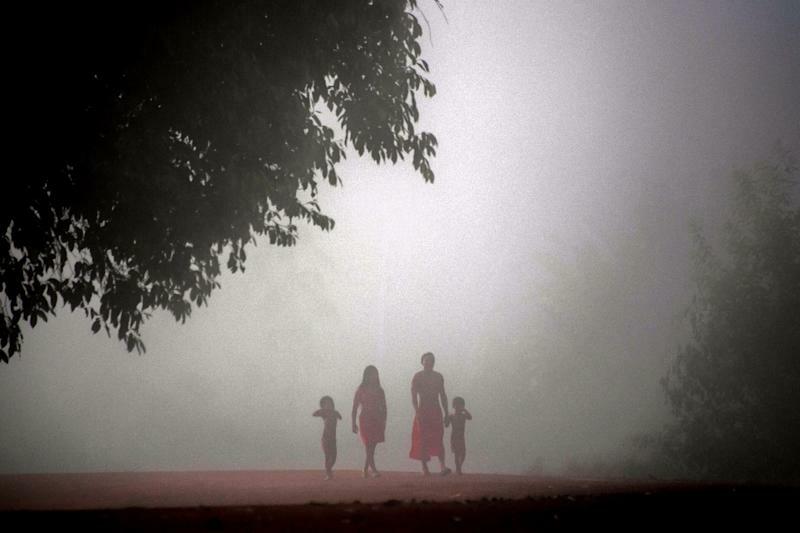 "Indigenous peoples are the key to unlocking that solution."